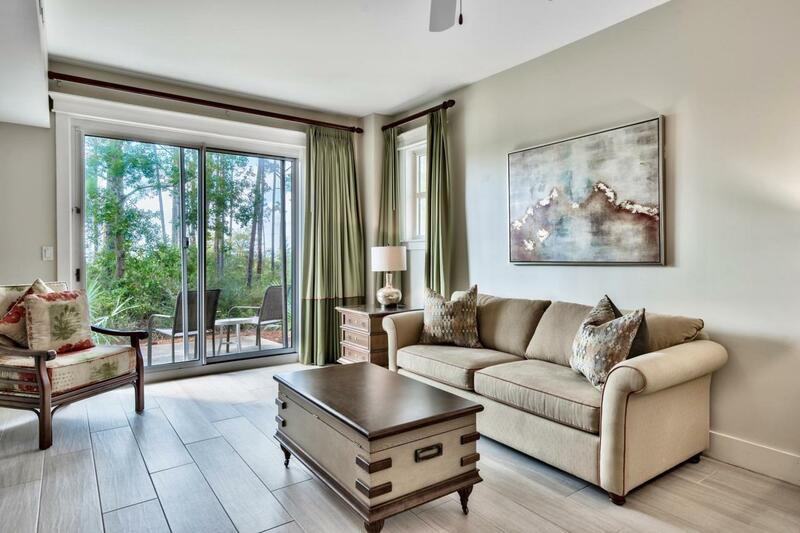 This 1st floor condo unit captures a view of Choctawhatchee Bay from its private patio. 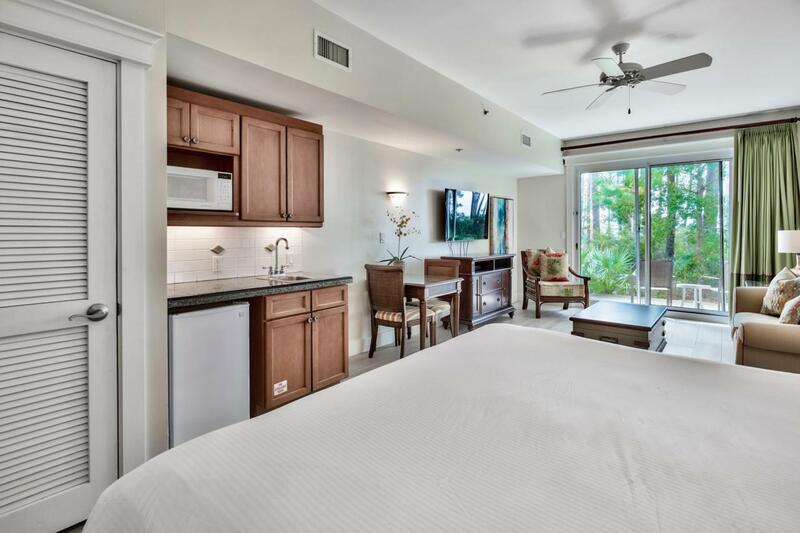 This fully-furnished studio features a kitchenette, as well as a living and dining room area. 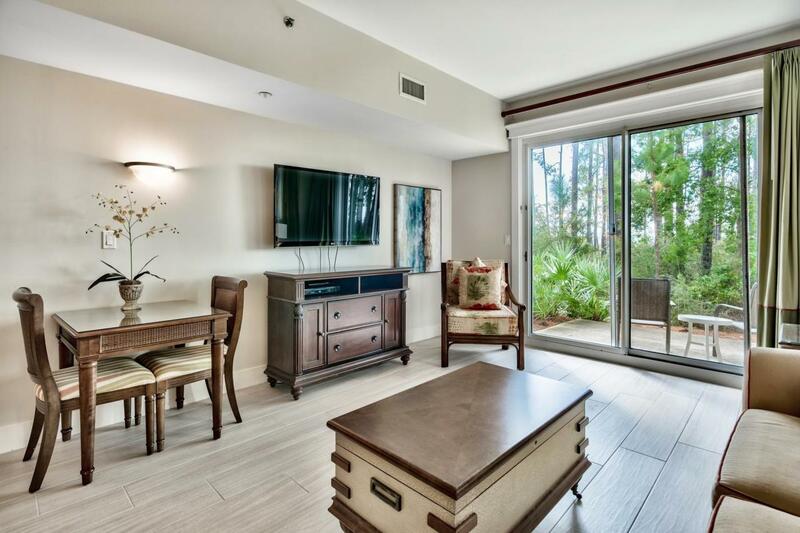 Lasata owners and their guests have access to a sprawling beach entry pool and hot tub at Grand Sandestin, beyond which is an event lawn, and The Solstice Club, overlooking the bay. 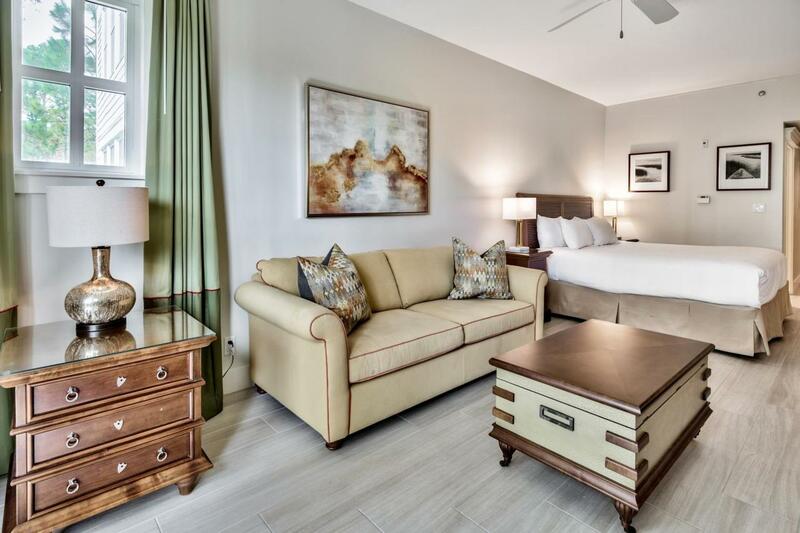 Located at The Village of Baytowne Wharf on Sandestin Golf and Beach Resort, Lasata offers excellent proximity to local dining. The Village hosts a wide array of seasonal concerts and events. Beyond The Village are four championship golf courses, 15 world class tennis courts, and a full-service marina. A tunnel beneath Highway 98 connects the bay and beach sides of the resort, placing beach access within convenient reach.